I order 8 more Discus. It's nice to be able to order these fish on one day and they come in the next.. I bought this fish and three others and had them shipped second day air and they arrived in perfect .. I Love the three Discus we received from Something Phishy will def order again. I made the mistake b..
Just recieved my order very pleased all in great shape and eating the following morning above my ex.. The Fire Dragons I ordered all arrived alive and in very good condition; I exactly followed the site.. I have ordered discus twice from something phish. I used next day saver in 2016 and lost 1 of 3. Sti.. I wanted to thank you for a great product, shipping and care. I ordered 4 discus and they arrive to ..
exactly what i order shipping was great and they even shipped a day sooner for me because right afte..
(Something Phishy) where do I start, I have been ordering Live fish online for a while, some came as..
As a first time buyer using this breeder I must say I was a little skeptical, I went ahead and order.. I was wary about ordering fish online, but somethingsphishy exceeded all expectations. My discus wer.. I am very pleased with the discus I have received both time. The discus arrived healthy with beautif.. I ordered a pair as part of a 10 discus order. Both arrived healthy, and had fins erect and looking .. I purchased 12 discus last October, they came in looking fantastic. We acclimated them and within 2 ..
Just received by discus a few days ago. They arrived a little cold but otherwise in good shape. I wa.. Wow!!! It\'s been a whole year since my first order of assorted discus of witch I still have 11. 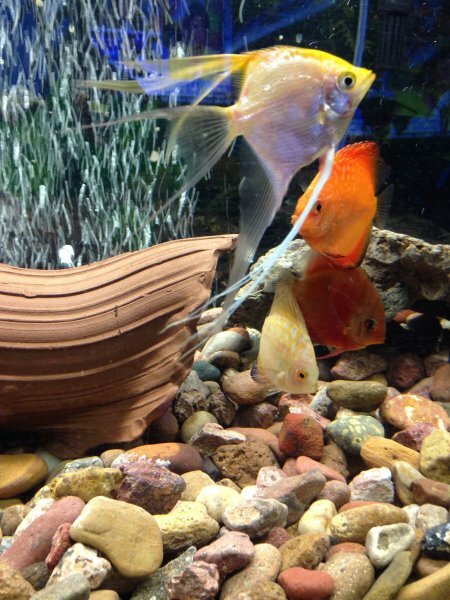 I j..
i received my discus a month ago and they love there new home i was impressed with condition and siz.. 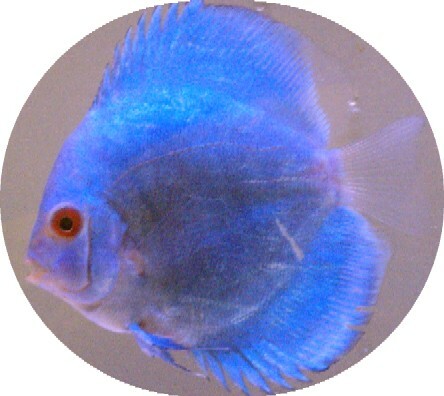 I have been a customer since 2010 and have always received healthy discus. The colors and markings a.. I got 4 different discus fish and they\'re all delivered healthy they\'re doing very well very surpr.. I ordered the Fire Dragon, along with a Red Melon (Yellow Face) and the Royal Purple Dragon. All 3 f..
these fish are quite elegant and have beautiful patterns unlike the pigeon blood. they have some yel.. These are absolutely beautiful. Purchased 2 of them, one was slightly smaller than the other but bot.. I just received my third order from Somethingsphishy, and as always the fish are beautiful and healt..
We ordered a single Fire Dragon Discus on our last order and regretted not ordering a pair once we r.. This was my first time ordering Discus. I looked at several sites and this one was easy to navigate .. This is the third order I have placed. I ordered 7 discus some snails a sponge filter and a 300watt .. This would be the 3rd order Ive placed and received great quality fish, and super fast shipping, don.. 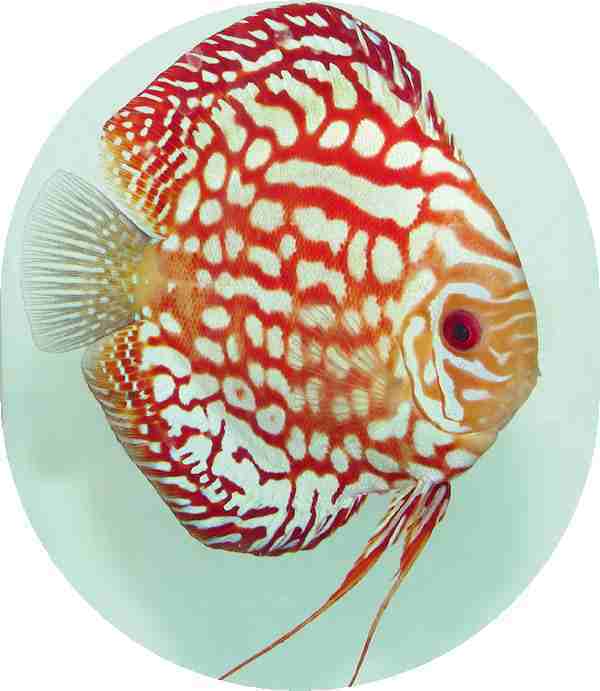 I just received another order of 6 discus they arrived in great condition and are doing good. These .. I ordered 12 discus on two seperate orders they arrived in great shape .I followed there instruction..
Just received our Fire Dragons today. They are healthy, well and beautiful. If you catch a fish on s..
Well, just received a shipment of 20+ fish. All the fish are good looking and busy exploring their 6.. I have ordered discus twice from something phish. I used nex ..